Jul. 21, 2017 12:00 p.m. The Grub Hub at Westerner Days is a popular destination for fair-goers. From corn dogs, to mini donuts, funnel cake, cotton candy and more, there is a treat to be found for everyone. 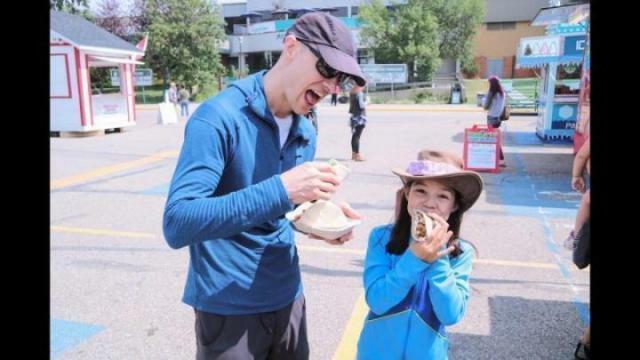 Express reporter Todd Colin Vaughan caught up to some patrons to see what their favourite treats were.